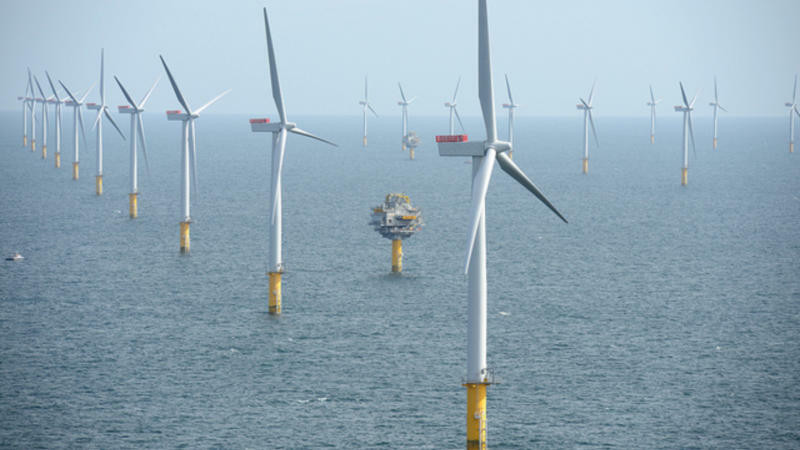 The world’s largest offshore wind farm has yesterday (16 August) received development consent from the Department of Business Energy and Industrial Strategy (BEIS) Secretary Greg Clark. EurActiv’s media partner edie.net reports. Located 89 kilometres off the Yorkshire coast, the 300 turbine Hornsea Project Two will have a capacity of up to 1.8GW and could meet the electricity needs of approximately 1.6 million UK homes per year. The £6bn (€6.94bn) windfarm is expected to create up to 1,960 construction jobs and 580 operational and maintenance jobs in the Humber region upon completion. Greg Clark said: “The UK’s offshore wind industry has grown at an extraordinary rate over the last few years, and is a fundamental part of our plans to build a clean, affordable, secure energy system. The green light for the windfarm – estimated to be fully operational in 2020 – comes after the project’s financer Dong Energy made a final investment decision back in February. The Government used the announcement as an opportunity to reveal that it is making £730m (€843m) of financial support available for renewable electricity generation this Parliament, and expects 10GW of offshore wind to be installed by the end of this decade. Welcoming the news, Friends of the Earth energy campaigner Guy Shrubsole said: “This is fantastic news for local communities and the environment. This massive wind farm will provide enough clean electricity to power almost two million homes and create hundreds of new jobs. The praise was echoed by renewable energy supplier Good Energy, whose trading director Mark Meyrick commented on the potential for offshore wind to kick-start the UK’s low-carbon transformation. “The UK is already a global leader in offshore wind and this new project demonstrates just how much renewable energy potential we have,” Meyrick said. “It’s clear that our European partners have faith in this country’s wind energy potential. The Hornsea development news comes on the same day that research from Bloomberg New Energy Finance (BNEF) revealed that Britain could scrap the £18bn Hinkley Point nuclear power plant and gain the same amount of electricity from the offshore wind industry for roughly the same investment. As Theresa May’s Government re-examines the case for nuclear reactors at the Somerset plant, BNEF data suggest that the UK could install about 830 offshore wind farms which would generate 25TWh of power a year for the same capital costs. “If we had £18bn to spend today, we could build 5.7 gigawatts of offshore wind ­– just under double the capacity and generating the same level of power as Hinkley Point,” said BNEF analyst Keegan Kruger. The announcement adds weight to the argument that renewable energy sources, and in particular the offshore wind industry, could rival alternative options such as Hinkley and shale gas exploration as the UK’s main energy supplier. On Monday, the Crown Estate’s drector Huub den Rooijen commented on the sector’s ability to deliver “on time and to budget”. He stated that “offshore wind now offers a mature part of the solution for the UK’s energy mix”. The positive outcome for Hornsea could see the UK secure 10% of its electricity needs by 2020 from the offshore wind sector. In total, Britain now has more than 10GW of offshore wind capacity either operating, under construction or with FID’s taken.